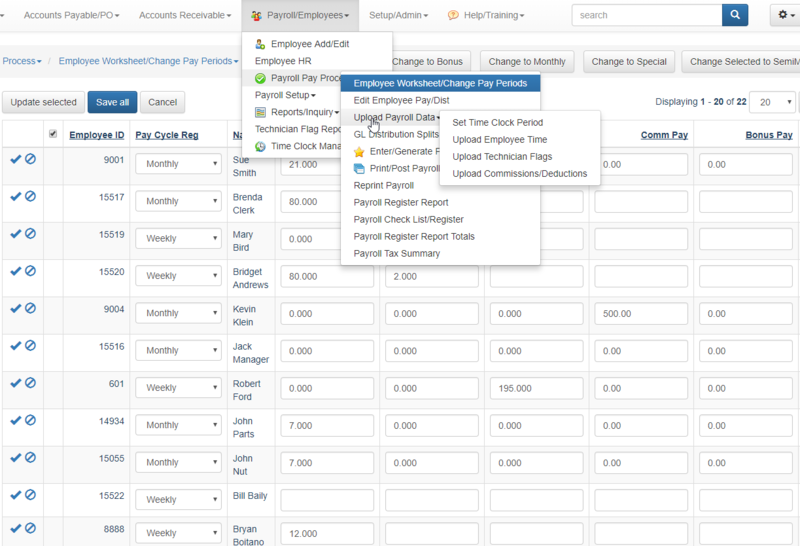 Restrict access to the Payroll menus to only those that need to see this confidential information. Use the Employee Equipment table to track who has which laptop, cell phone or demo plate. Onboard Help with tutorials. Did you make a mistake? Enter the correct amounts and generate your payroll again. Use our Worksheet entry method to enter everyone’s payroll at once. Upload the time clock, flags, and sales commission to save time. Control payroll costs; use our multi-company features to pay employees from one dealership but distribute to other stores in your group. Use the overtime watch to avoid having employees stay too long on the job. Avoid a larger bill with your current DMS provider and save with us!